Have you ever been listening to your physics teacher explaining an equation in class and then realised you don't understand anything they're saying? Don't worry, we've all had that moment. This free online physics course is designed to make learning advanced physics much easier. In a clear and simple manner, the course will guide you through essential topics of advanced physics, from electricity and transducers to magnetism and wave equations. This course will first introduce you to electrical systems, covering topics such as electric current, electric charge, voltage, resistance, work done, and power. You will then study electrical circuits including series circuits and parallel circuits as well as capacitance, capacitors, and discharging capacitors. You will study the conversion of alternating current (AC electricity) to direct current (DC electricity) as well as learn about transducers such as light-dependent resistors (LDRs), light-emitting diodes (LEDs), and thermistors. Next, you will study magnets and magnetism and cover topics such as magnetic fields, moving charges in magnetic fields, and electric motors. You will explore the nature of sound, standing waves, the wave equation, and the reflection, transmission, and absorption of sound. You will also study sound diffraction and the superposition of sound waves, amplitude, loudness, intensity, the decibel scale, and acoustic power. The course also covers the speed of sound and its importance. Most of us eventually regret not paying more attention to our teacher in class, especially for difficult subjects such as physics. If you just need a little extra help with advanced physics, this is the free online course for you. The course will provide you with a comprehensive grounding in physics and is ideal as a complement to regular classes or as study and revision aid. 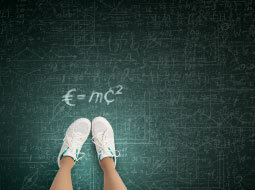 So, check out the course now and boost your understanding of physics in just a few short hours! After completing this course you will be able to: - Identify the purpose of current, charge, voltage, resistance and power; - Identify different types of circuits; - Make calculations with series and parallel circuits, and to convert AC to DC; - and use capacitors, transducers, magnets, sound and wave equations, sound diffraction and much more.